Best altcoin exchange: what platform to choose for trading? The number of profitable altcoins grows every day. Accordingly, it increases the demand for platforms where they can be traded. Unfortunately, to date, many popular exchanges have very conservative views on the listing of new coins, which creates a lot of problems in trading. We’ll figure out what the best altcoin exchange should be, and also consider the list of suitable resources. The best altcoin exchange: how to choose? A large number of trading pairs and coins supported. 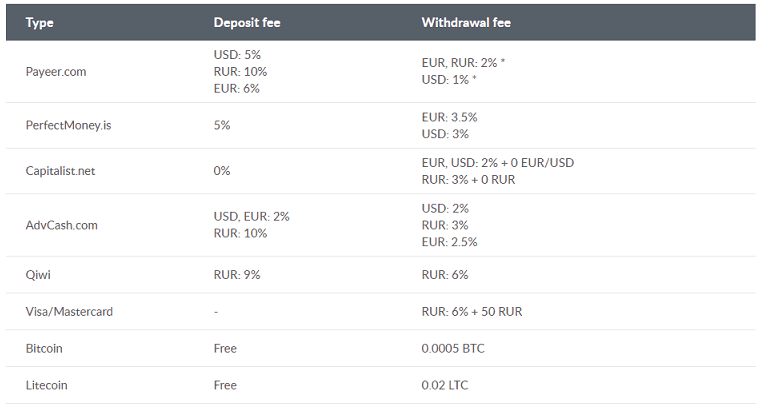 Low fees for trading and deposit/withdrawal of funds. Speed and quality of the support service work. Let’s consider the most appropriate options for trading platforms. Binance.com is considered arguably the best cryptoexchange and it is one of the best sites to buy Bitcoin. On the site there are more than 200 currency pairs, among which there are even quite rare coins. The trading fee on Binance is only 0.1%, which makes it the most accessible exchange of all. At the same time, using internal BNB tokens, you can get a discount for transactions of 50%, paying a fee of only 0.05% of the transaction. The only drawback of Binance is the absence of couples with fiat currencies. From the point of view of the customer service, Binance has also proved itself very well. Exchange employees are relatively quick to answer questions via e-mail. In addition, on the official page of the platform in the social network Reddit indicated that all tickets received from users are sorted and sent to specialists with suitable competence. This trading platform supports the largest number of trading pairs – over 640 (more than 300 crypto-currencies). In general, the policy of Yobit.net is built around support of virtually any coin entering the market. Unfortunately, this does not come without consequences – often a pure scam falls into the listing, so many people do not like this platform. Fee for trading operations is 0.2%, which is considered normal for cryptoexchanges. Yobit does not charge users for deposit replenishment, and withdrawal fees vary between 2 and 7% depending on the direction. The only and very significant drawback of this exchange is dubious reliability. Many users complain about the lack of technical support for participants, fraudulent account manipulation, etc. Unfortunately, this resource can not be called safe. Probably, by the number of available coins, Yobit is the best altcoin exchange, but you risk losing your money working with it. Bittrex.com is one of the most popular cryptoexchanges out there. It is inferior to Yobit in terms of the number of trading pairs, but it can also be used for trading in altcoins – in the listing there are about 200 trading pairs and more than 250 different cryptocurrencies. The basic cryptocurrency at Bittrex is Bitcoin, so almost all operations on it are performed through it. You can take a closer look at how to buy Bitcoin on Bittrex in our issue. The advantage of this platform is that it often adds less popular coins, which are not on other resources. Fees for trading operations in the system are slightly higher than average – 0.25%. And you have to undergo mandatory verification to withdraw funds. Usually this procedure does not take much time if you do it right. Technical support works well enough, but don’t expect an instant response – the waiting period usually is about several days. In addition, Bittrex can be considered a reliable exchange for the reason that it was not involved in any major scandals. Although, the registration of new users is sometimes closed and you have to wait until it re-opens, which can be a problem for those who do not already have an account. This exchange is also among the TOP popular trading platforms. Its main advantage is high liquidity for the majority of altcoins, which will make it possible to work without problems even with not very popular coins. The exchange supports about 140 trading pairs (about 100 different currencies). Over the entire history of its existence, the Poloniex.com exchange has experienced quite a lot of attacks and technical problems, but recently it has been working steadily. Judging by the reviews, technical support works fine, but sometimes there are quite long delays in the answers – you have to wait even a few months sometimes. Most likely, this is due to the workload of employees. In periods when the number of users decreases, the answers come much faster. LiveCoin.net supports more than 160 currency pairs, which include both crypto and fiat. This allows you to significantly simplify the replenishment of accounts, as well as the withdrawal of funds from the exchange. Most altcoins can be traded in pairs with dollar, which is a huge advantage of this particular platform. But the replenishment through cryptocurrencies is carried out without additional fees even in case with the most unpopular coins. 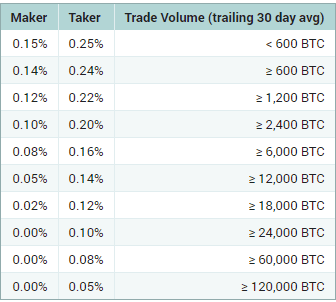 The drawbacks of this exchange include the fact that some completely new or unknown altcoins have very low liquidity. Accordingly, orders with them can hang out for very long time. In terms of technical support LiveCoin is probably the best altcoin exchange among all. Its employees answer questions from users quickly, and are in contact on Bitcointalk. There have not been any serious problems with the exchange in its history and it’s quite stable.